A new report from Apple analyst Ming-Chi Kuo obtained by 9to5Mac details the cameras in the next-generation iPhones. The report confirms previous rumors — the successors of the iPhone XS and XS Max will have three camera sensors on the back of the device. In addition to the main camera and the 2x camera, Apple could add an ultra-wide 12-megapixel lens. Many Android phones already feature an ultra-wide lens, so it makes sense that Apple is giving you more flexibility by adding a third camera. 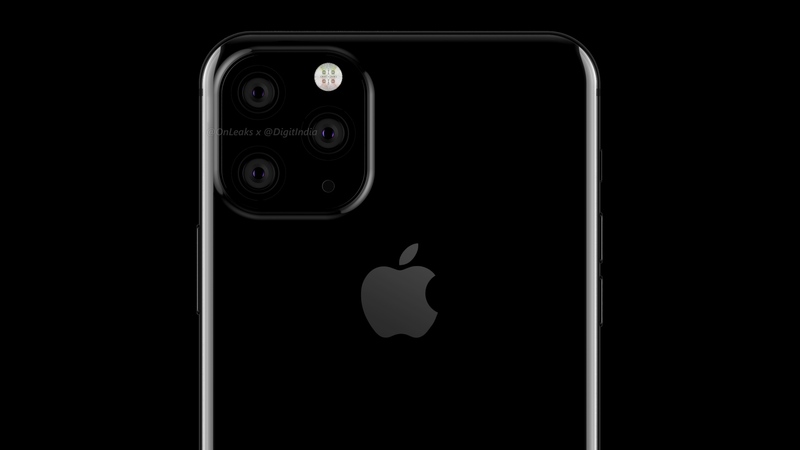 Kuo thinks Apple will use a special coating on the camera bump to hide the lenses. It’s true that pointing three cameras at someone is starting to look suspicious. The iPhone XR update will feature two cameras instead of one. I bet Apple will add a 2x camera. On the front of the device, Apple could be planning a big upgrade for the selfie camera. The company could swap the existing camera sensor with 4 layers of glass with a camera sensor that has 5 layers of glass. Apple could also be giving the camera a resolution bump, jumping from 7 megapixels to 12 megapixels. All three models should get the new selfie camera. Apple is working to combine its tracking apps “Find My iPhone” and “Find My Friends” into one unified app available on both iOS and Mac, according to a new report from the Apple news site 9to5Mac. In addition, the report says, Apple is developing a hardware product that can be attached to other items that Apple customers want to track — similar to what the Bluetooth tracker Tile offers today. The idea is the new, unified app would then serve as a way to track anything — Apple devices, other important items like a handbag or backpack, as well as the location of family members and trusted friends. And all of this information would be securely synced to iCloud. Meanwhile, the new hardware — codenamed “B389,” the report says — would represent a threat to Tile and other Bluetooth trackers on the market, as Apple would be able to capitalize on its massive install base of iPhones and other Apple devices to develop its own crowdsourced tracking-and-finding network. The new hardware tag will be paired to a user’s iCloud account and users will be able to receive notifications when a device, like their iPhone, gets too far away from the tag. 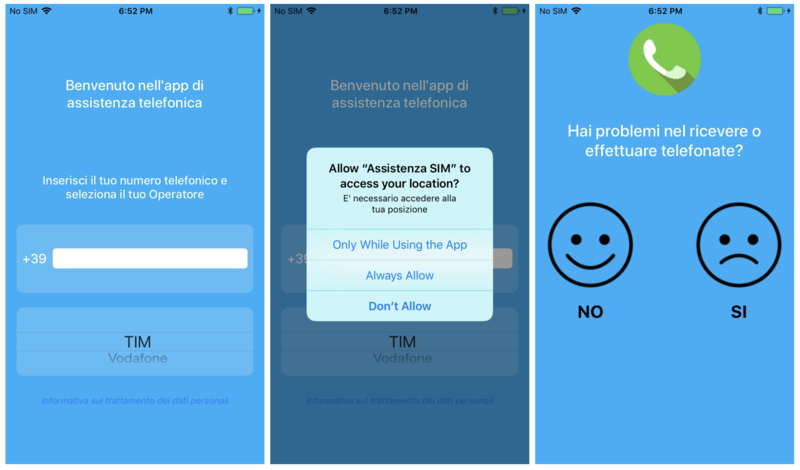 Users will also be able to configure locations to be ignored, and can opt to share a tag’s location with friends or family. And like Tile, when the item with the tag attached goes missing, users could then put the tag into a “Lost” mode that would alert the owner when it’s found. The “finding” takes place by way of a crowdsourced network that includes every other Apple device owner who’s opted in to use this same tracking service, it would seem. A large crowdsourced network is today one of Tile’s key advantages. To date, the company has sold 24 million Tiles, which now connect to 4 million items daily with a 90 percent success rate, thanks to its own community-find feature. A competitive product from Apple could eat away at Tile’s business, while also serving as a new source of device revenue for Apple — and perhaps subscription revenues, too, for access to the crowd-finding network. The reported merger of Apple’s two tracking applications comes at a time when Apple is rethinking how it wants to position its apps. Another recent report from 9to5Mac had confirmed Apple’s plans to break up iTunes, and instead bring new Music, podcasts and TV apps to Mac users. Apple will revamp its Books app as part of these changes, too, the report said. It’s worth noting that there’s a big leak at Apple right now, and 9to5Mac is benefiting. In addition to the news about the unified apps, Tile-like tracker and the breakup of iTunes, the site also leaked a big preview of iOS 13, which is said to include a system-wide dark mode, new gestures, visual changes and more. And just yesterday, the site reported that Apple is working on a feature that will allow users to pair a Mac with an iPad to use as a secondary display — something offered today by companies like Luna Display or Duet Display. As for the new, unified “Find My…” app and hardware tag, no timeline to a public release is yet known. According to a report from 9to5mac’s Guilherme Rambo, the next major version of iOS for the iPhone and iPad will present many new features, such as universal dark mode, new gestures, visual changes for the volume popup and more. Dark mode should work more or less like dark mode on macOS Mojave. You’ll be able to turn on a system-wide option in Settings. Apps that support it will automatically switch to dark mode the next time you launch them. Let’s hope that third-party developers will support that feature. Otherwise, it would be a bit useless if Facebook, Instagram, Gmail or Amazon still feature blindingly white backgrounds. According to a new report from reliable Apple analyst Ming-Chi Kuo and shared by MacRumors, the next-generation iPhone should likely feature two-way wireless charging. This feature would let you charge other devices using your iPhone. Other flagship smartphones already feature two-way wireless charging, such as the Samsung Galaxy S10, the Huawei Mate 20 Pro and the Huawei P30 Pro. Samsung released new Bluetooth earbuds to justify such a feature. Thanks to PowerShare, you can place the Galaxy Buds case on the back of your Samsung Galaxy S10 to charge them. But you also can use it with another phone or another accessory — it should work with any Qi-compatible device. And now that Apple sells AirPods with a wireless charging case, chances are Apple will also showcase the new case sitting on top of the next iPhone. According to Ming-Chi Kuo, Apple could include the new feature across the lineup. Updates to the iPhone XS, XS Max and XR should get two-way wireless charging. Apple could also increase battery sizes to mitigate the impact of this new feature. The next iPhone XS could receive a 20 to 25 percent bump, and the next iPhone XS Max could get a 10 to 15 percent bump. The iPhone XR, which already has the longest battery life, should more or less keep the same battery. It’s Qualcomm 1, Apple 1 in the latest installment of the pair’s bitter patent bust-up — the litigious IP infringement claim saga that also combines a billion-dollar royalties suit filed by Cupertino alleging that the mobile chipmaker’s licensing terms are unfair. The iPhone maker filed against Qualcomm on the latter front two years ago and the trial is due to kick off next month. But a U.S. federal court judge issued a bracing sharpener earlier this month, in the form of a preliminary ruling — finding Qualcomm owes Apple nearly $1 billion in patent royalty rebate payments. So that courtroom looks like one to watch for sure. Yesterday’s incremental, two-fold development in the overarching saga relates to patent charges filed by Qualcomm against Apple back in 2017, via complaints to the U.S. International Trade Commission (ITC) in which it sought to block domestic imports of iPhones. In an initial determination on one of these patent complaints published yesterday, an ITC administrative law judge found Apple violated one of Qualcomm’s patents — and recommended an import ban. Though Apple could (and likely will) request a review of that non-binding decision. Related: A different ITC judge found last year that Apple had violated another Qualcomm patent but did not order a ban on imports — on “public interest” grounds. Then, later yesterday, the ITC issued a final determination on a second Qualcomm v Apple patent complaint — finding no patent violations on the three claims that remained at issue (namely: U.S. Patent No. 9,535,490; U.S. Patent No. 8,698,558; and U.S. Patent No. 8,633,936), terminating its investigation. Qualcomm said it intends to appeal. The mixed bag of developments sit in the relatively “minor battle” category of this slow-motion high-tech global legal war (though, of the two, the ITC’s final decision looks more significant), along with the outcome of a jury trial in San Diego earlier this month, which found in Qualcomm’s favor over some of the same patents the ITC cleared Apple of infringing. Reuters reports the chipmaker has cited the contradictory outcome of the earlier jury trial as grounds to push for a “reconsideration” of the ITC’s decision. Albeit, given the extreme complexities of chipset component patent suits, it’s not really surprising a jury might reach a different outcome to an ITC judge. Safe to say, the litigious saga continues. 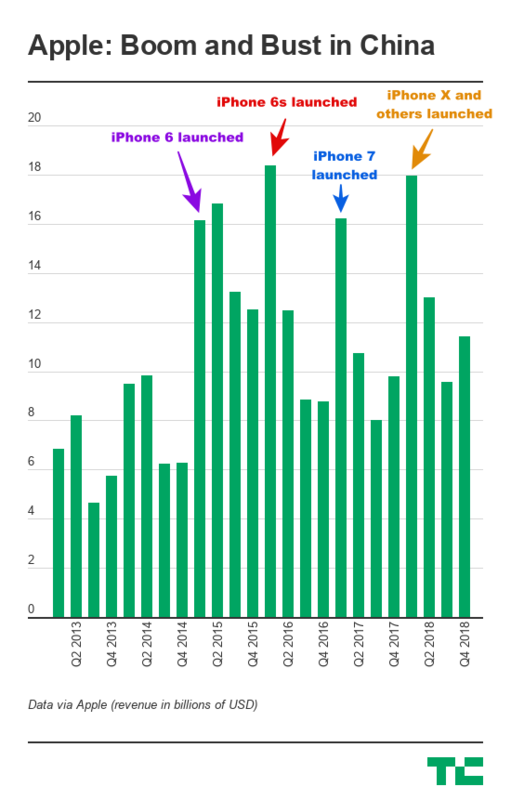 And iPhones continue being sold in the U.S.
Other notable (but still only partial) wins for Qualcomm include a court decision in China last year ordering a ban on iPhone sales in the market — which Apple filed an appeal to overturn. So no China iPhone ban yet. And an injunction ordered by a court in Germany forced Apple to briefly pull certain iPhone models from sale in its own stores in January. By February the models were back on its shelves — albeit now with Qualcomm not Intel chips inside. But it’s not all been going Qualcomm’s way in Germany. Also in January, another court in the country dismissed a separate patent claim as groundless. A decision is also still pending in the U.S. Federal Trade Commission’s antitrust case against Qualcomm. In that suit the chipmaker is accused of operating a monopoly and forcing exclusivity from Apple while charging “excessive” licensing fees for standards-essential patents. The trial wrapped up in January and is pending a verdict. Apple is looking to get over its sales woes in China by offering prospective customers interest-free financing with a little help from Alibaba. 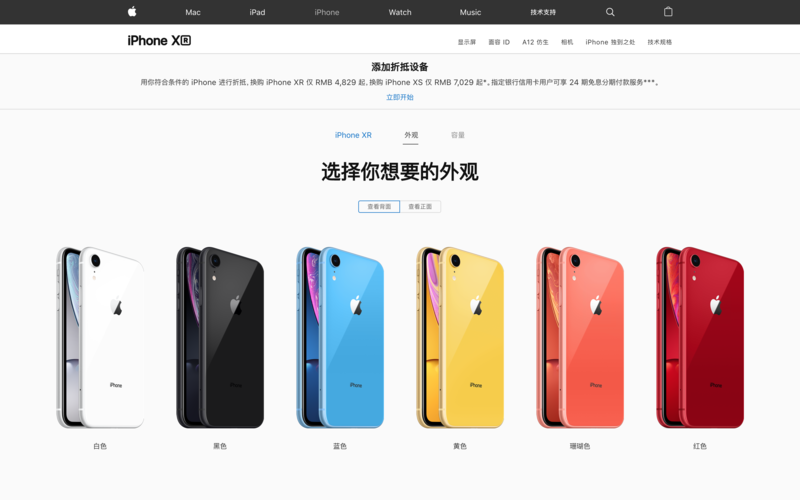 Apple’s China website now offers financing packages for iPhones that include zero percent interest packages provided in association with several banks and Huabei, a consumer credit company operated by Alibaba’s Ant Financial unit, as first noted by Reuters. Apple is also offering discounts for customers who trade in devices from the likes of Huawei, Xiaomi and others. Offering attractive packages may convince some consumers to buy an iPhone, but there’s a lingering sense that Apple’s current design isn’t sparking interest from Chinese consumers. Traditionally, it has seen a sales uptick around the launch of iPhones that offer a fresh design, and the current iPhone XR, XS and XS Max line-up bears a strong resemblance to the one-year-old iPhone X. The first quarter of a new product launch results in a sales spike in China, but Q2 sales — the quarter after the launch — are where devices can underwhelm. It’ll be interesting to see if Apple offers similar financing in India, where it saw sales drop by 40 percent in 2018 according to The Wall Street Journal. Apple’s market share, which has never been significant, is said to have halved from two percent to one percent over the year. Finance is a huge issue for consumers in India, where aggressively priced but capable phones from Chinese companies like Xiaomi or OnePlus dominate the market in terms of sales volume. With the iPhone costing multiples more than top Android phones, flexible financing could help unlock more sales in India. China, however, has long been a key revenue market for Apple, so it figures that this strategy is happening there first.